West Ham midfielder Dimitri Payet has signed a new five-and-a-half year contract. The 28-year-old joined the club in the summer from French side Marseille in a deal worth more than £10m. The France international has excelled this season, scoring six goals in 22 appearances to help the Hammers to sixth in the Premier League. The new deal - replacing Payet's previous five-year contract - lasts until summer 2021. Earlier this week, the club denied media reports that Payet had made demands over a new contract. Speaking after West Ham's 2-1 FA Cup win over Liverpool on Tuesday, manager Slaven Bilic said: "We must do everything we can to keep our best players - and he is our best player." 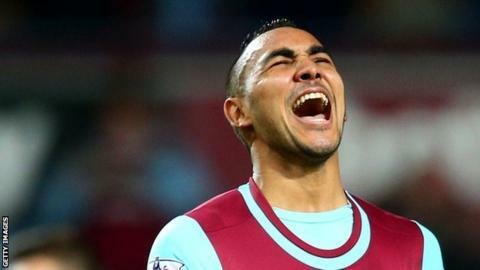 Hammers co-owner David Sullivan recently described Payet as the "signing of the season". "He's the best player I've signed in 25 years," said the 67-year-old. "He's a £30m player. He's a supreme footballer. He makes every player in our side play better. On his day, he's world class, he's unstoppable."